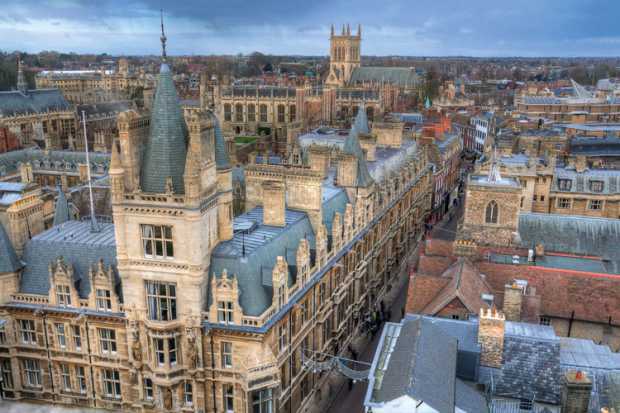 University of Cambridge has an opening PhD position in geophysics. This position is available for 5 years. Eligible candidates should submit the applications before April 19, 2019. We invite applications for one or two studentships to study deep anomalous structures on top of the core-mantle boundary. The core-mantle boundary is the most significant internal boundary of the Earth. The nature of the thermal, compositional, and other interactions across the core-mantle boundary are uncertain, but the interactions both control and depend on the composition and structure near to the boundary, and play a major role in the thermal and dynamical evolution of our planet. Seismology has observed strong thermochemical heterogeneity at the base of the mantle. One such observation of heterogeneity is the presence of patches of ultra-low velocity zones (ULVZs), which can show up to 30% shear wave velocity reduction. Patches of ULVZs have been mapped for decades and estimates of their 3D extent have been made more recently, specifically beneath major volcanic hotspots: e,g, beneath Hawaii (Cottaar and Romanowicz, 2012). We are looking for a highly motived student, with a background (preferably a Masters) in geophysics, physics, or geology. The research conducted by the PhD student will be observational, computational, and multi-disciplinary in nature. Which component is emphasized in the project will depend on the background and interest of the student. There is scope to work on the potential composition of these anomalies and the impact on our understanding of mantle plumes or the magnetic field, working with other researchers within Cambridge and at other institutions. The studentships are part of the ERC-funded project “ZoomDeep: Zooming in on the core-mantle boundary” by PI Cottaar. The studentships are fixed term for 3,5 years (in first instance). The studentships cover maintenance and fee costs for EU students (including UK). For non-EU students, the stipend does not cover fee costs, and application to other scholarships should be sought. Fixed-term: The starting date for the studentship is flexible but should be before 1st January 2020. If you have questions, or would like to discuss the potential research involved, please email the PI Sanne Cottaar (sc845@cam.ac.uk). For the application, please submit a cover letter (detailing your background and motivation for this project) and a CV.